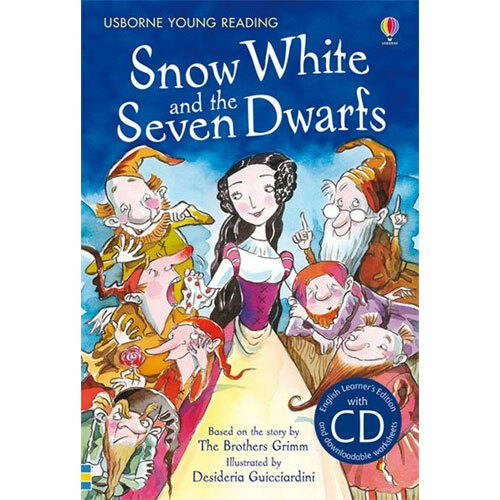 This classic tale by the Brothers Grimm is retold for young learners. 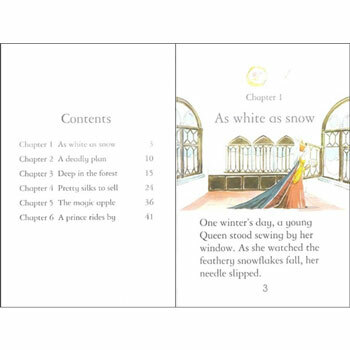 The story of the beautiful princess with skin as white as snow and hair as black as ebony, her wicked stepmother and her seven rescuers is accompanied by bright, colourful and hugely appealing illustrations. Snow White and the Seven Dwarfs is a level 4 (Upper Intermediate) title in the Usborne English Learner's Editions. 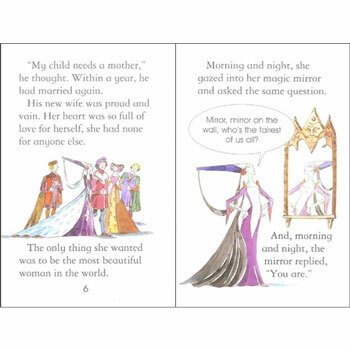 This series has been especially developed with extra support for young learners of English as an Additional language. Each title in this series has a word count of 1000-1800 words and a lexile range of 350-750L.